Start by dicing the courgette, halving the tomatoes and quartering the artichokes. Place on a large baking tray, keeping the different vegetables separate. Drizzle with olive oil, season and out in the oven at around 180 degrees until starting to colour around the edges. Meanwhile make a basic risotto. Fry the diced onion and garlic in a little oil until soft. Add the rice and pearl barley and squeeze over the lemon. Add a splash of the stock and stir. Once the liquid has evaporated add a little more. Continue doing this until you have used up all the stock, stirring constantly. 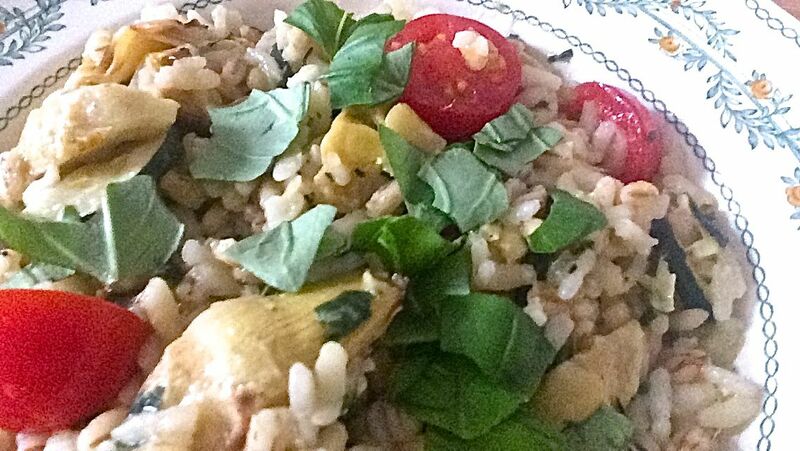 If the rice or pearl barley is a little hard at this point you can always add some more hot water but you want the rice to still have some bite to it. By now the vegetables should be done. Leave the artichokes and tomatoes to one side. With a stick blender, blitz the courgette and the leaves from the basil with a little salt and pepper. 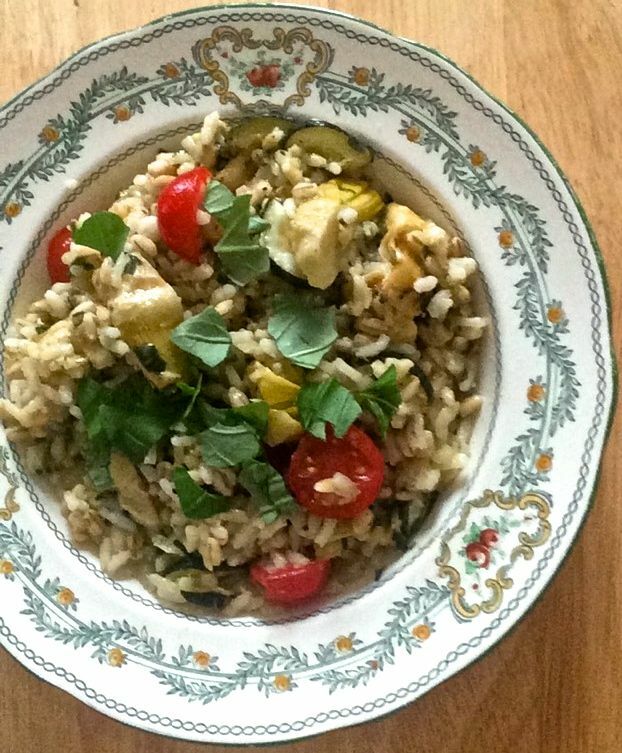 Stir the courgette mixture and the other vegetables through the risotto and serve. I used… a chopping board, a knife, a pan, an oven tray, a stick blender and a wooden spoon.